Seeing someone making a purchase in your online store is breathtaking. But it doesn’t mean you can call it a day. 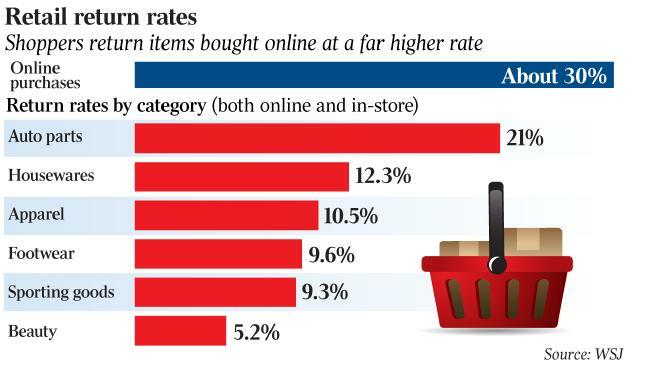 The thing is, on average, 30% of online purchases end up in returns (compared to 8% in physical stores). One of every three purchased items can potentially arrive back to you. Oops. Why does it happen? First, customers lack physical contact with your products when they check out. They have to use their imagination, which can be pretty misleading. That results in a collision between the expectation and the reality. Second, online shopping is way more impulsive than shopping in-store. Customers will keep ordering stuff they don’t need just because it’s so easy to buy with a couple of clicks, giving the brain an immediate dose of dopamine. And you probably can’t change that. What you can do is examine the reasons for returns in your online store and minimize chances those reasons appear. If you are about to launch your business or have just started out, track this data from day one. Also, make sure you’ve got a good return policy and make it easy to find in your online store. Ideally, you should have it linked at checkout. 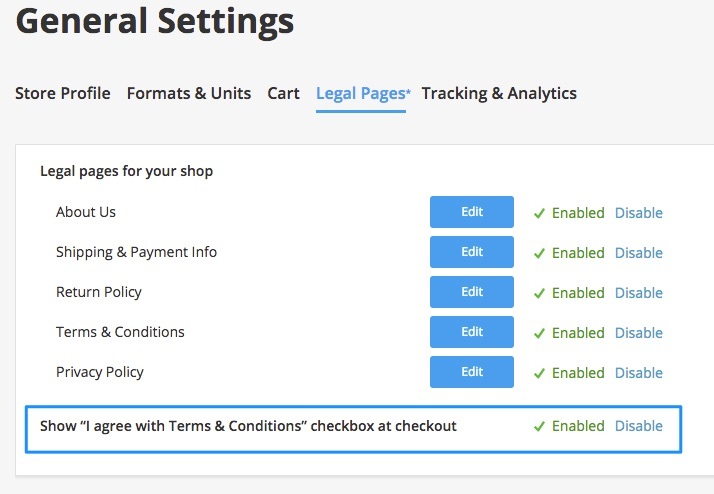 Ecwid merchants can set it up in Settings → General → Legal Pages. As you can guess, the reasons for returns vary widely. But we’ll divide them into two categories: legitimate and fraudulent returns. Here are some precautions that can help to minimize those issues. Make your products fit. Categorizing your goods into small, medium, and large is not enough. Think of a detailed description of each size. It’s best to display the exact dimensions of your products. 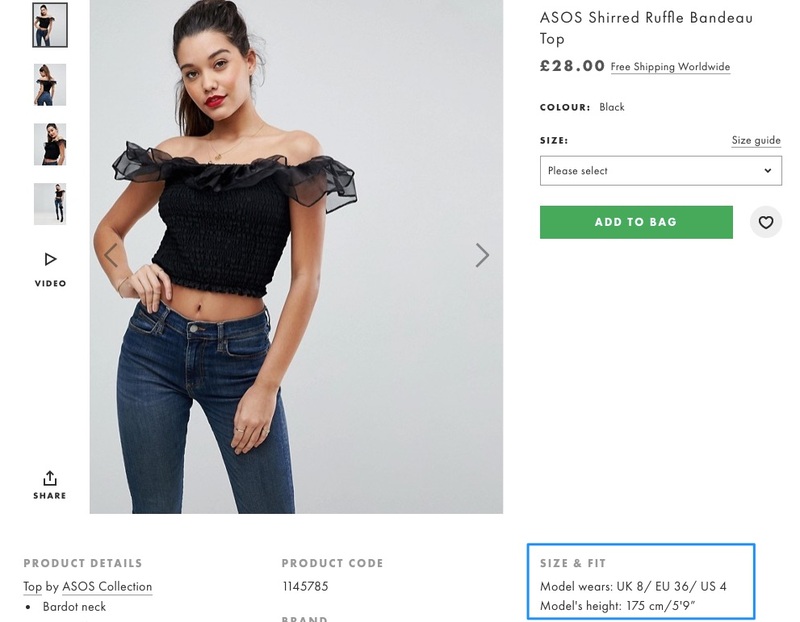 In case you sell apparel that you don’t make yourself, make sure your size chart works for different items, and if not, add a separate size chart for each of them. If your size chart is not comprehensive enough, customers can simply leave the store without a purchase, or, on the contrary, order several sizes to return those that didn’t fit. Sometimes it’s not your size chart that is to blame. Customers may be wrong about what size they need. That often happens with shoes. The owner of Afour Custom Footwear claims that 90% of people don’t know their shoe size. The thing is, cognitive biases stand in our way to be objective about ourselves. People sometimes want to believe they wear a certain size. Or their impression of the style they prefer can be very different to what they actually wear. There is a trick to help people be more objective. Try to ask them to associate themselves not with an impersonal size chart, but with some real people. Another great thing about Asos is their defile videos. They let you understand what an item looks like from every angle, together with other products, and in motion. Videos are not only of great help for the clothing industry. Whatever you sell, a video will tell much more about the product. You can add videos to your product descriptions in Ecwid. Show detailed descriptions and photos. When thinking of how detailed those should be, try to compensate for the lack of touch. 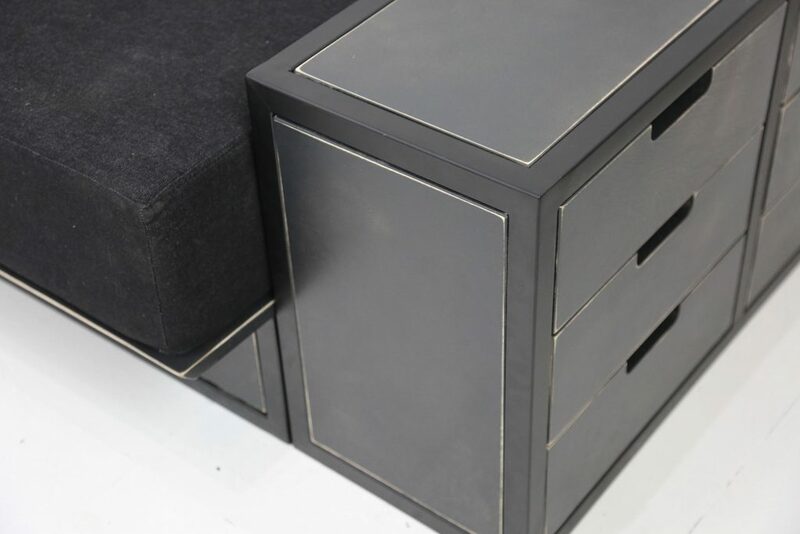 Show textures, views from different angles, and describe materials, don’t just name them. Some customers have never used your product before, so they might get confused. Savvy merchants say that sometimes a customer can claim, for example, that the zip is broken, and then the merchant finds out it was OK. The customer simply couldn’t figure out how to make it move. Keep that in mind, and explain it in your videos and product descriptions. Check out how this video explains how to use the product and highlights its best qualities. Be objective. It’s easy to go the extra mile with praising your product’s quality, but that can also be the reason for returns. Revise your product pages for any misleading information. Also, collect the feedback from customers who returned your product because it was not what they expected. You may find out that you need to adjust your messaging and marketing activities too. Do surveys. Tools like SurveyMonkey are useful for asking your customers more about their preferences and reducing the expectation-reality gap. Take care of packaging. If you sell fragile products, it’s not only necessary to pack them carefully but also to provide an easy way for a customer to pack them back so that the product isn’t broken on its way back. Consider adding guidelines of how to wrap your product for returns and make this a condition for accepting the return. Include a return slip with instructions into packaging. Offer an easily downloadable slip in case customers lose their printed version. If you don’t offer free returns, give store credit, a gift, or compensate shipping expenses. Holidays will be holidays. The downside of the gift season is getting gifts that you don’t need. If you take part in holiday sales, expect higher return rates than usual. United Parcel Service Inc. announced that returns jump up with 15% during holiday seasons. Some retailers state 50% return rates. After the holiday season ends, managing those returns can become your #1 task. Make sure your team is trained and your return policy is clear. 21,3% of retailers enact tighter return policies during the holiday season. Tip: use Staff Accounts to get extra help with managing your Ecwid store during this busy time. The bottom line: your ultimate goal is to make customers happy, even if they returned their order. Not only will they come to buy again, but they will also spread the word about your services and attract more customers. It’s much easier to be a badass on the internet than in real life. Fraudulent returns make up 6% of all. Chances are some customer is trying to cheat you right now. Swappers order a new product to replace one they own that is damaged or old. Wardrobes purchase a product, use it temporarily, then return it for a full refund. Friendly frauds claim they never made a purchase or that they never received their merchandise. Deliberate frauds purchase items with counterfeit money or stolen credit or debit cards and return them for a refund, which they usually want in cash. It’s hard to prevent fraudulent online returns at all. Your ultimate goal is to detect as many cheaters as possible and make returns uncomfortable for them. Take the following steps if you are seeing some disbalance in your operations. Take notes of serial numbers and other individual marks to make sure the returned item comes from your store. This will make it harder for swappers to replace your product with an older one. Take pictures when packaging to prove the item was fine. This only makes sense for small businesses with lower-volume sales. Shorten the return period to 30 days, accept returns in original packaging and in original condition, train your employees to detect used items, keep your regulations consistent. Require a receipt and a signature. If someone claims they never received their order, a signature can be your saver. If a customer tells you they never made an order, you should keep the order details at hand. Refund on credit cards, not in cash. This helps to prevent you from deliberate fraud. Double-check high-volume orders. In one of its studies, JP Morgan found that the average online sale sticks around $100, depending on the industry, while the median fraudulent transaction, on the other hand, is about $250. Phone customers. The more personal you look to the customer, the harder it will be for them to cheat. Hearing your voice can make a customer change their mind about cheating you. Remember that fraudulent customers can be very loud. If you refuse to accept the return (without violating your return policy, of course), and the customer is overreacting, this might be a bad sign too. Such customers can leave numerous angry messages on your social media profiles, on review websites, and everywhere else on the web. So always stay polite, even if you detect a cheater. What are the weirdest, the funniest, or the hardest return experiences you’ve had in your online store? Share in the comments below!